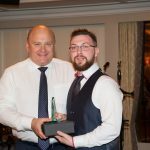 Popular staff member Dermot Caffrey was among a host of colleagues who were honoured at the Moorehall Living Staff Appreciation night at Bellingham Castle recently. 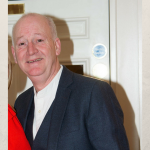 Dermot, who has worked in the maintenance team across Moorehall Living for the past decade, was recognised for his special contribution to the life of Moorehall Living. 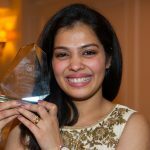 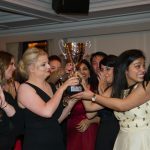 The night, attended by almost 200 staff members, board members and retired colleagues, was a chance for Moorehall Living to show its appreciation for the part that the staff plays in the award-wining culture. 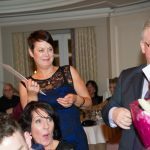 A host of staff members were recognised for 15 and 10 years’ service with Moorehall Living at the glittering night as well as many categories voted on by colleagues, residents and families. 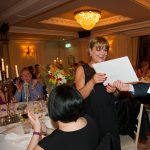 The appreciation honours as voted by residents and families went to Patricia Fitzpatrick (Drogheda), Aine Murphy (Ardee) and Elaine Brennan (My Life by Moorehall Living). 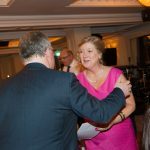 There was huge applause as Joy Thomas (Drogheda), Andrew Rafferty (My Life) and Trudy Gillespie (Ardee) took the plaudits from their fellow team members as the Most Supportive Colleague in each service. 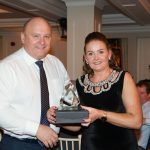 The staff members at Millmount household at Moorehall Lodge Drogheda won the John McCoy Team of The Year perpetual trophy. 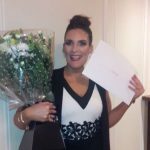 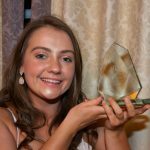 Leah Murray from Moorehall Lodge Ardee was the winner of Ola’s Prize – an educational bursary named in honour of Ola Noga, an inspirational colleague who passed away two years ago. 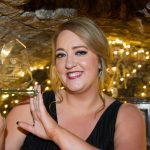 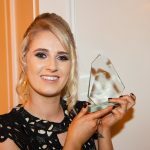 Leah is currently studying sign language at Trinity College and combines her duties in Moorehall Lodge Ardee with providing sign language services to the new My Life by Moorehall Living service. 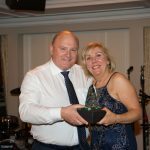 15-year service awards were given to Temitipe Odumosu and Roma McCreanor while 10-year recognitions were awarded to Dermot Caffrey, Caroline Caffrey, Theresa Giggins, Madgalena Gawlik Brzegowy, Sharon Burns, Trudy Gillespie, Jeena Antoney, Vivienne McGahon, Pawel Nowicki and Anand Mathew.